This time, we will share the Spin-off Comedy Manga of Kindaichi Case Files. Well, we will upload it one by one because we will make Indonesian translation too. 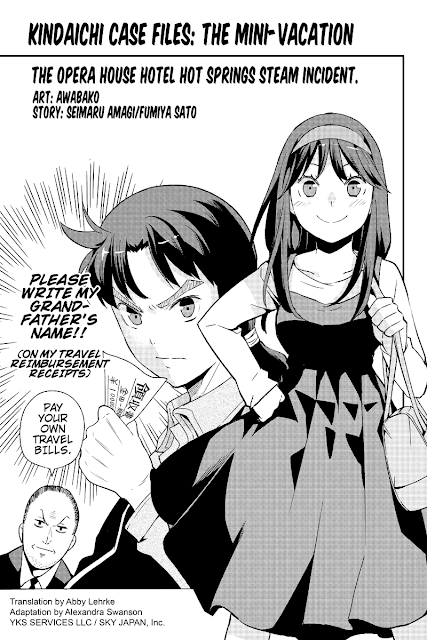 And you know, English Translation of Kindaichi Spin-off : The Mini Vacation is officially from MangaBox and you can read it for free. (If you're in Japan). And i hope you will buy this Spin-off if publish in your country. From this Spin-off, you can see how funny Kindaichi and the Gang :v (But i think Miyuki is main character in this Spin-off). This Spin-off is illustration by Awa-Bako.